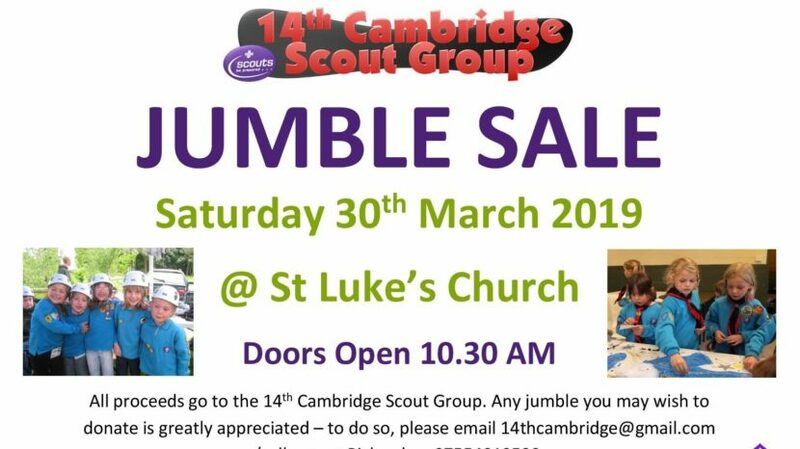 Join us at our Jumble Sale this Saturday morning and grab a bargain! 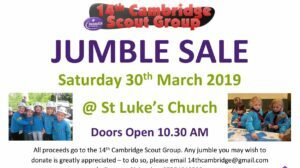 Our Jumble Sales have raised more than £10,000 since 2007, supporting hundreds of young people in Scouting activities. Even if you can only help for one or two hours, every little helps! Beavers, Cubs and Scouts are encouraged to help, although Beavers and Cubs should be accompanied by a parent. This will count towards their community service hours for various badges! Finally, let Richard know if you can help and please share BIG Jumble Sale Facebook posts with your friends. See you all on Saturday.